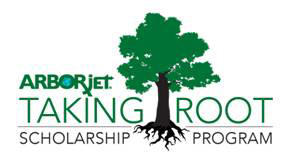 Applications are now open for Arborjet’s 2016 Taking Root Scholarship Program. Now in its third year, the scholarship program awards 10 graduating high school seniors with a $1,000 scholarship to pursue full-time studies in forestry, plant sciences, horticulture, entomology, environmental science or a related major. Applicants must be graduating U.S. high school seniors planning to major in a forestry course of study or related major for the entire 2016-17 academic year at an accredited two-year or four-year college or university. Interested students can apply at http://sms.scholarshipamerica.org/arborjet.